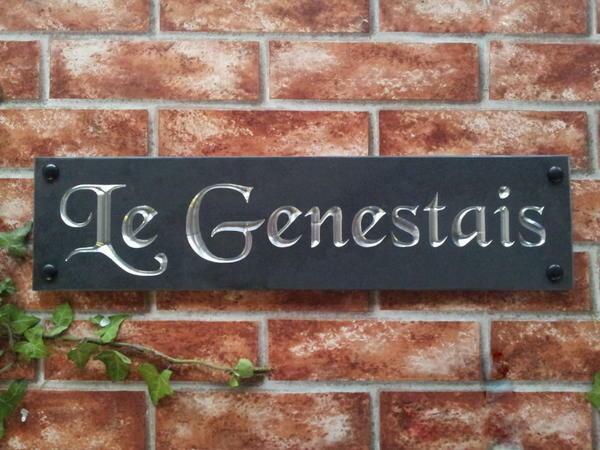 Large slate sign with deep v-groove engraving. Suitable for house names in one line of text. 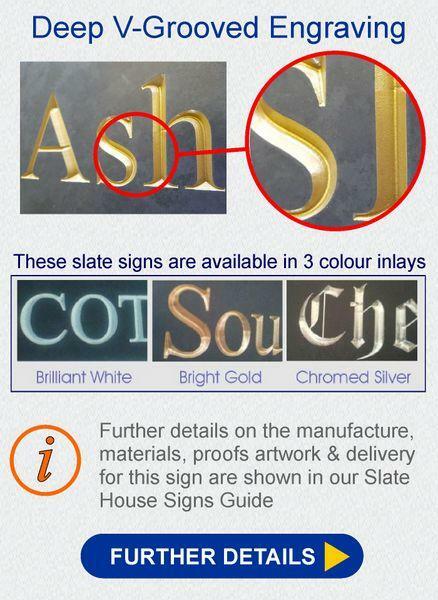 Thank you for our new house sign it arrived so quickly and we are so pleased with thr results. It makes our home look grand. Thought we would share a picture with you. Cheers. I have just returned home from abroad and opened my parcel. What a fantastic job ! My wife and myself were in total awe of this sign. An amazing piece of art, we cannot thank you enough. I wish you even greater success with your business, which I shall not hesitate to recommend. Many Thanks. 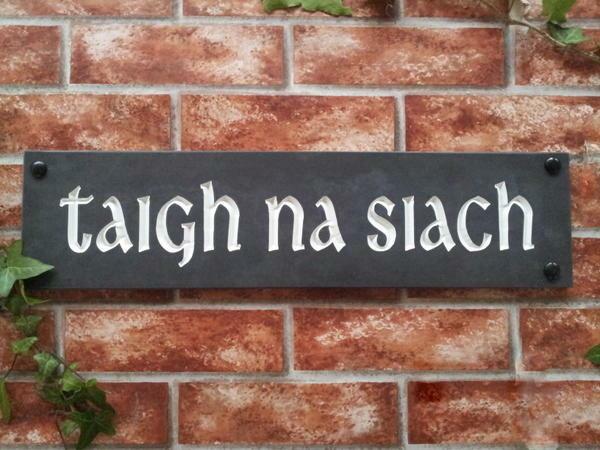 Just to let you know the sign arrived safely and is now fixed to my fence at the end of my drive. Now people can find me! Received with thanks, very impressed. 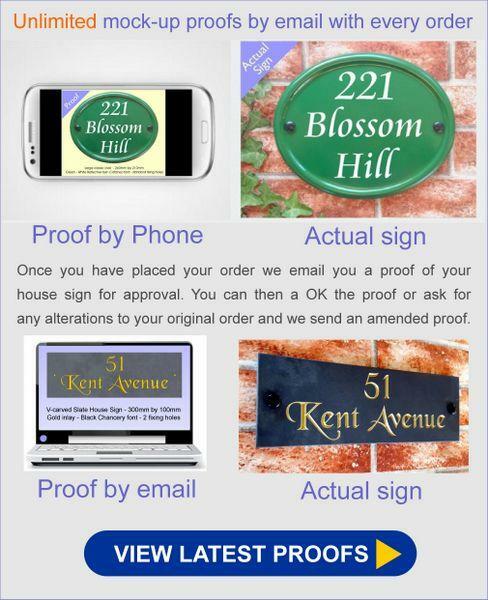 We ordered 2 signs for our properties in October 2015 and were very happy with the service from Your Signs. The order took a little longer than stated, but this was because they needed to replace a part on their engraving machine to make sure that the quality we received was excellent. I was very happy that 'quality' was so important to Your Signs. 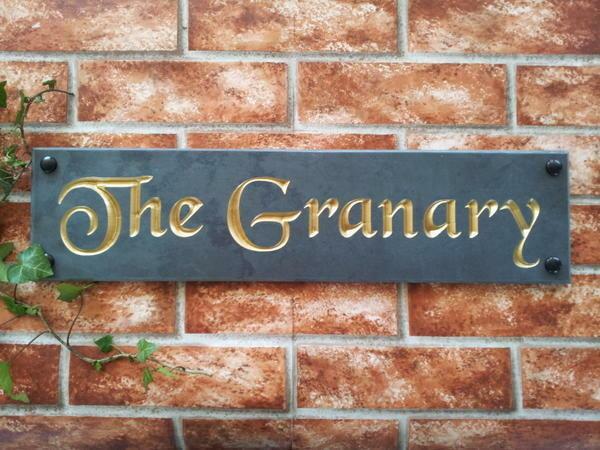 The signs arrived and we are delighted with them and they look great on our stone houses.